I am a massage therapist with ten years experience in the healing arts. I will take you on a healing journey through deep therapeutic massage blended with a relaxing and intuitive touch. I work with organic oils and aromatherapy. 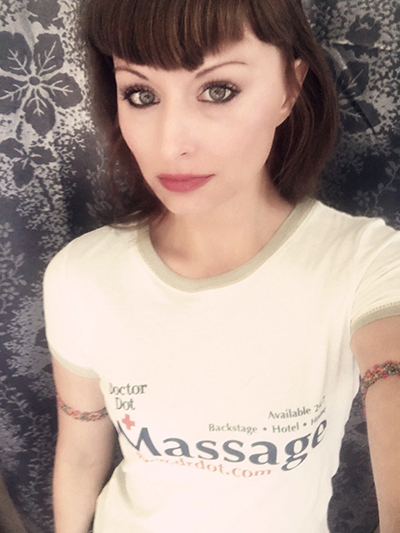 My massage is a customized blend of scents, neuromuscular therapy, structural energetic therapy, trigger point release, table thai, reflexology, ahh shiatsu barefoot technique and energy healing. I am a certified shamanic bodywork practitioner and teacher of Munay-Ki as well as certified Usui Reiki Master Practitioner.